Can you confirm these amateur observations of Cryptoblepharus eximius? Types Holotype: Lost (see Zug, 1985). 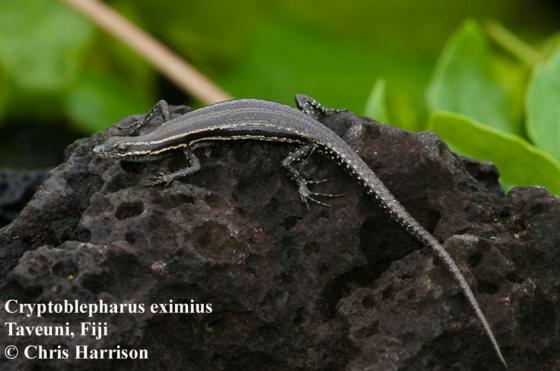 Comment Synonymy: These skinks were long included in Ablepharus. Distribution: Cryptoblepharus eximius does not occur in Rotuma. Habitat: Predominantly a coastal species (Zug 1991), but does occupy habitats distant from the shore (Zug 1991).